Welcome to the Ozeki Phone System XE Accessories page. This web page provides information about what kinds of Accessories are available for Ozeki Phone System XE PBX. The following list gives short descriptions about the available accessories with hyperlinks for detailed descriptions. To make calls from Mozilla Firefox web browser you need to install the Ozeki VoIP Click to Call plugin. After a quick installation process you will be able to use the plugin to call a PSTN number through Ozeki Phone System XE. See the following link for more information and installation guides. Make amazing 3D video calls with Ozeki Phone System XE using the revolutionary Ozeki XD Softphone. It provides you improved 3D projection technology while the stereo webcam and the red-cyan 3D glasses enable high-tech video adventure in your office. 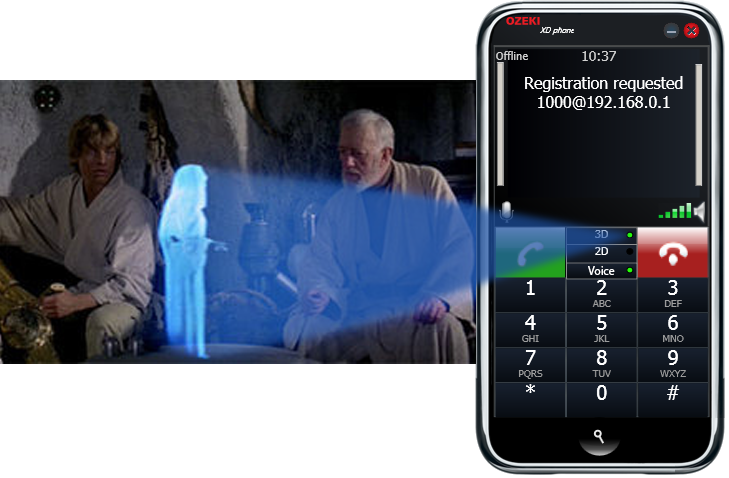 Ozeki VoIP Service Checker is a great mobile application that can be used to check the availability of VoIP services. It sends a VoIP login packet to the PBX then waits for a response. This tool is open source and compatible with Android, Windows Phone and Apple mobile devices.